Tomorrow is December 2 and we will be publishing the fifth short story in our Fall line-up of fairytale retellings, The Astronomer Who Met The North Wind by Kate Hall. The story, our first Middle Grade one, is a retelling of The Princess Who Met The North Wind by Wendy Eyton. To celebrate the release, we invited the author to talk about the story and about the motifs and themes behind this retelling. 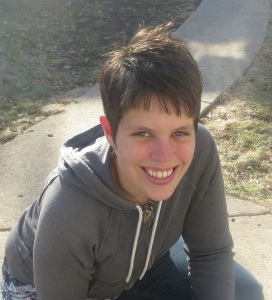 Please welcome Kate Hall, everyone! I asked myself this question repeatedly as I started what eventually became The Astronomer Who Met the North Wind. What classified a story among the likes of “Sleeping Beauty”, “Jack and the Beanstalk”, “Puss in Boots”? Lots of stories have magic in them, or fairies. Lots of stories have princes and princesses. Many stories start “once upon a time” and end with a “happily ever after.”Almost all stories have a message. But not all of those stories are fairytales. Looking for inspiration, I went back to my favorite tale, The Princess Who Met the North Wind. As a child, I liked this story for a number of reasons: the princess reminded me of a real person, stubborn and a little spoiled, who didn’t always get along with her well-meaning parents; the North Wind wasn’t pure malice like some fairytale baddies, but more of a mischief-maker. I experienced the same satisfaction about those things as I reread the tale, and then I experienced the same sense of aggravation I also felt as a child when I came to the end: the princess, alone, cold, and weeping, is saved by the North Wind’s son (who was a human — of course. And a prince — of course) and whisked away to her happily ever after. It was here that I hit on what about the story, about fairytales in general, bugged me: the rescue. A fairytale, in many ways, is a story of a protagonist getting into trouble over and over again, requiring magical intervention to make it to the ending. While exceptions definitely exist across all cultures, the “accepted” canon of fairytales (read: European) suggests protagonists are rarely active, and even when they are active, they are usually too inept or naive to manage their own welfare without help. This, to me, signified a fairytale. And it signified reams of possibilities to turn that reality on its head. What if the protagonist doesn’t need help? What if the danger the fairy godmother, the talking cat, the deus ex machina “here to save the day” is there to remove, isn’t a danger at all? Can a fairytale be a fairytale if the fairies aren’t needed? 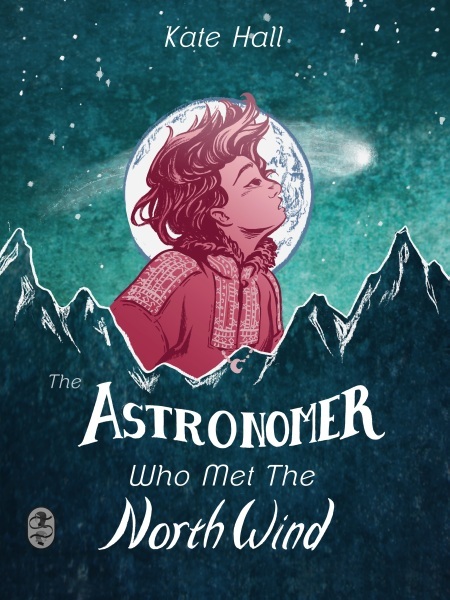 In The Astronomer Who Met the North Wind, people are out to save Minka from the danger of being a girl who wants to go into a STEM career, from the danger of being a child who thinks she knows what she wants to be when she grows up, from the danger of getting cold, or dirty, or discouraged while being female. To them, these are real dangers from which she needs protecting. And when it becomes clear she won’t listen to her human guardian, fairytale logic requires that the issue be escalated to a magical being, traditionally the vehicle to “save” the protagonist. But even the North Wind can’t dissuade her, because if Minka needs saving from anything, it’s from all the people (and now forces of weather) telling her she can’t know her own mind simply because of her youth and gender. And she’s well on her way to saving herself from them, too. But the bones of a fairytale are present: she still does go on adventure. She, like the princess of the original tale, strikes out on her own and learns something about herself. She seeks—and finds—something wondrous. She experiences magic. And in the end, she finds happiness. I hope those questions are asked. And I hope you enjoy the story.